This 615 sq. 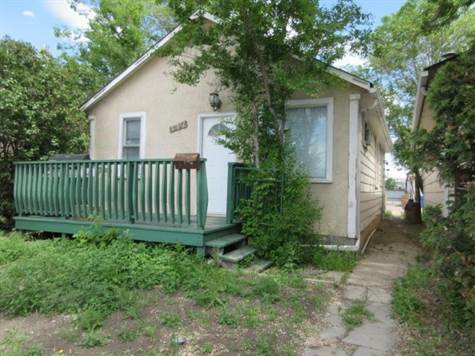 ft., 2 bed room Bungalow close to shopping & schools is perfect for 1st time buyer or investor. New shingles, Mid-eff furnace, updated counter tops, hardwood floor in living room, ceramic tile flooring in kitchen & bath. Basement is open for development. Ideal for the Buyer that doesn't enjoy the maintenance of a large yard. Enjoy or BBQ on the west facing deck. No shortage of parking with open rear yard or street. Tenant occupied, Regent Park area.